In Fall 2017, I surveyed some seniors with a minimum GPA of 3.5 asking them about their to-do recommendations before graduating. Whether you have four years to go or are in your final semester, here are the top five things Samford students should do before they graduate. (They are listed in reverse order.) Scroll past the top five for some extra recommendations! 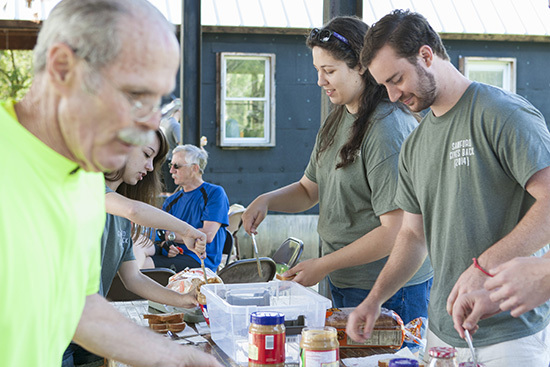 Samford Gives Back is an annual day of service that involves students volunteering their time in the community. The service projects range in variety -- meaning that you could be on a build site, planting trees, or in an assisted living facility. All of these are ways to engage with the community and possibly build connections. However, those are not the only benefits. Samford also provides multiple convo credits for your participation, and these credits are needed before graduating. Additionally, you receive a free Chick-fil-a breakfast and a Samford Gives Back t-shirt! Who says that breakup cookies are only for breakups? I wish so much that I could describe in my own words the tastiness of this cookie, but sadly, I can’t. Many local people suggest these cookies and this bookstore. Just click the link above and indulge in its delight! Trust me, we will be marking this off our list together. Samford prides itself in its Christian culture. Many students have Christian beliefs and grew up attending church. However, the recently conducted survey suggests that students try a church outside of their culture. Personally, I think this is crucial because, depending on your upbringing, you may not have experienced a worship setting completely different from what you’ve always known. College is a great time to figure life out and learn more about yourself and the world around you. Why not explore a different church culture? It’s helped me get a better awareness of who God is, among other things that I’ve learned. There are currently about 676 churches in the Birmingham area. With so many options, Birmingham provides many opportunities to explore a different type of church. 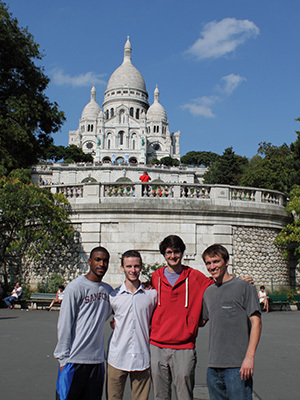 Samford’s Study Abroad program is a big deal at Samford. According to Samford’s Office of Global Engagement, there are 15-20 study abroad programs each year. If you want to study abroad but are having concerns about cost, Samford offers numerous scholarships. I have yet to study abroad but I hope to do so before I graduate. It’s a great way of submerging yourself in a different culture while making new connections. 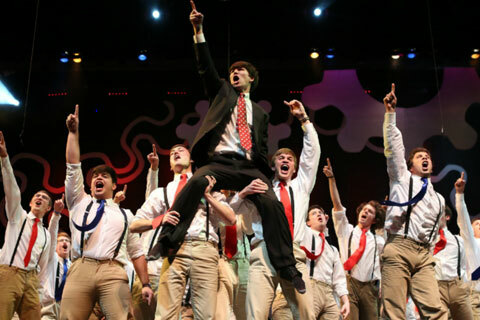 Step Sing is one of THE MOST talked about events on Samford’s campus. Honestly, it’s as if we live and breathe Step Sing. What is Step Sing? According to Samford.edu, “Step Sing began as a sing-along on the steps of Renfroe Hall at the Howard College East Lake Campus in 1951. It was held once a semester and soon became a competition.” Basically, students put together a show of singing and dancing with themed costumes and compete against other student groups to win. However, Step Sing is not all about competition. A main theme is raising money for a chosen charity through ticket sales, t-shirt sales, and any extra donations. It’s all about coming together for a purpose, but having fun while doing it. Even if singing and dancing isn’t your thing, you should at least watch. Samford offers many ways to participate -- even off stage -- so do Step Sing! 1. Attend a Broadway in Birmingham play at the BJCC. 2. Go to the top of the Vulcan statue. 3. Use Samford Library’s resources. Just visit Samford Library’s website, and you will see why you should. You’re welcome! 4. Go to Eli’s Jerusalem Grill. 5. Attend a BACHE reading. Depending on your interests, I think you'll enjoy this! 6. Take a class outside of your major that seems interesting to you. 7. Go to Seed’s Coffee. 8. Run across the football field (when approved by Samford Athletics). 9. Get to know your professors! Trust me! You will not regret it in the long run. Professors have been where you are as a student and would love to see you succeed in your classes and in life. As a junior, I am so grateful for the professors who helped me get internships.